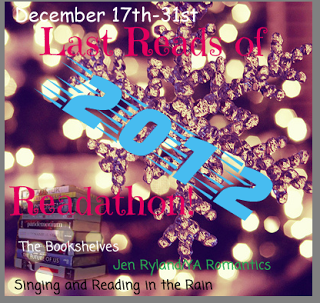 The Last Reads of 2012 Read-a-Thon hosted by Jen @ YA Romantics, Patrick @ The Bookshelves, and Eileen @ Singing and Reading in the Rain has begun! I won't do a daily check-in, but I will do a wrap-up at the end to show how many pages I read and minutes listened! If you want to join me in the read-a-thon, just click on the challenge badge at the beginning of this post to sign up at YA Romantics! Many thanks to Jen, Patrick, and Eileen for hosting! 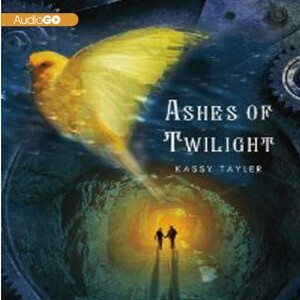 Curious to see what you think of Ashes of Twilight. I have that one and I haven't read it. 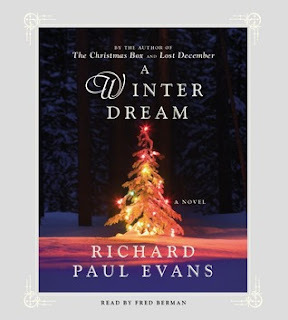 And I love that you picked a holiday book.